I think I probably had one of the soundest night’s sleep I’ve ever had! After a 10 hour flight with some incredibly scary turbulence over Greenland followed by a particularly confusing drive from LAX to the Magic Castle Hotel, we were hungry and looking not unlike the walking dead. I was also suffering from the worlds worse case of ear pressure pain after flying. I am not exaggerating in the slightest when I say that it was similar to a thousand knives of fire being plunged into each side of my head. Childbirth would have been a walk in the park compared to what I was suffering. A late dinner of amazing burgers at 25 degrees (which looked like something off Man Vs Food) took us up to 11pm, then we all agreed it was time for bed. It’s 8am here in Los Angeles and the view from our hotel window is absolutely stunning! 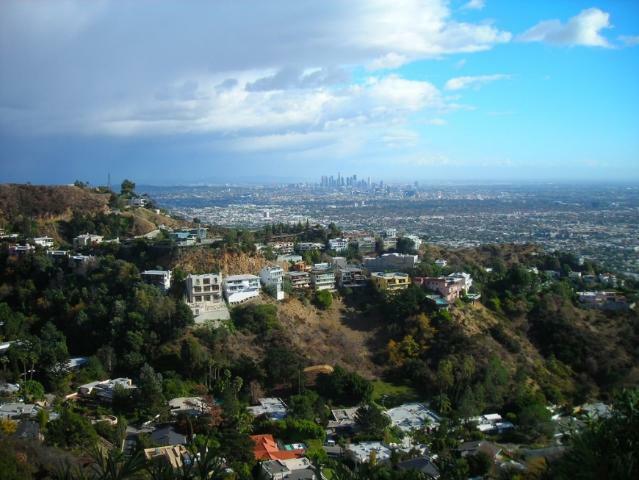 This time round we are staying at the Hollywood Hills annex and looking out over the city. We feel rested and raring to go. Lecturing today we have Joaquin Kotkin (on touring with a grand illusion show), Gary Dunn (entertaining with almost nothing), Payne and then Tamar Kimmons (on fun and games for birthday shows). The programme is subject to change and it usually does. Time for breakfast I think! !